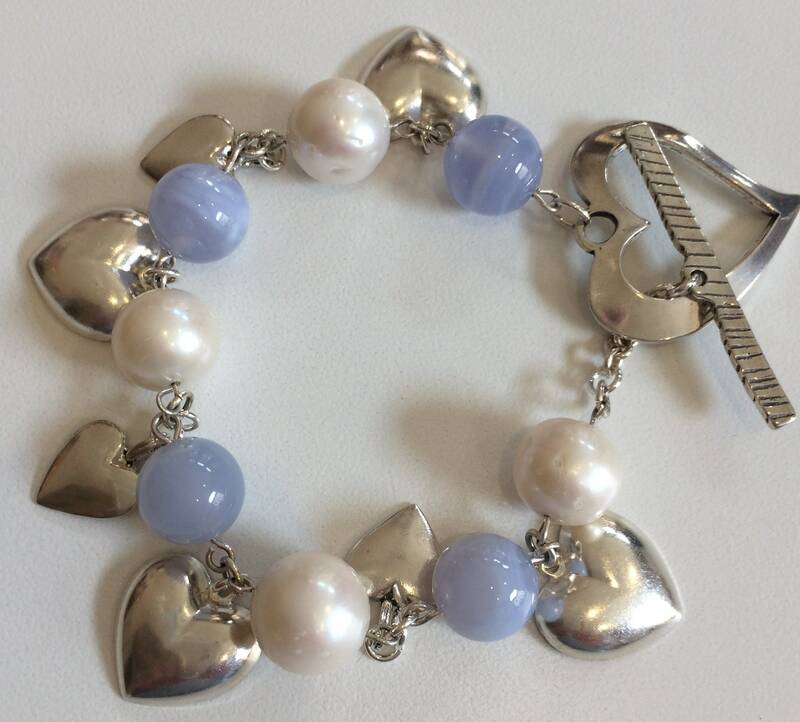 This bracelet features sterling silver heart charms, large freshwater pearls and soft blue Chalcedony beads. 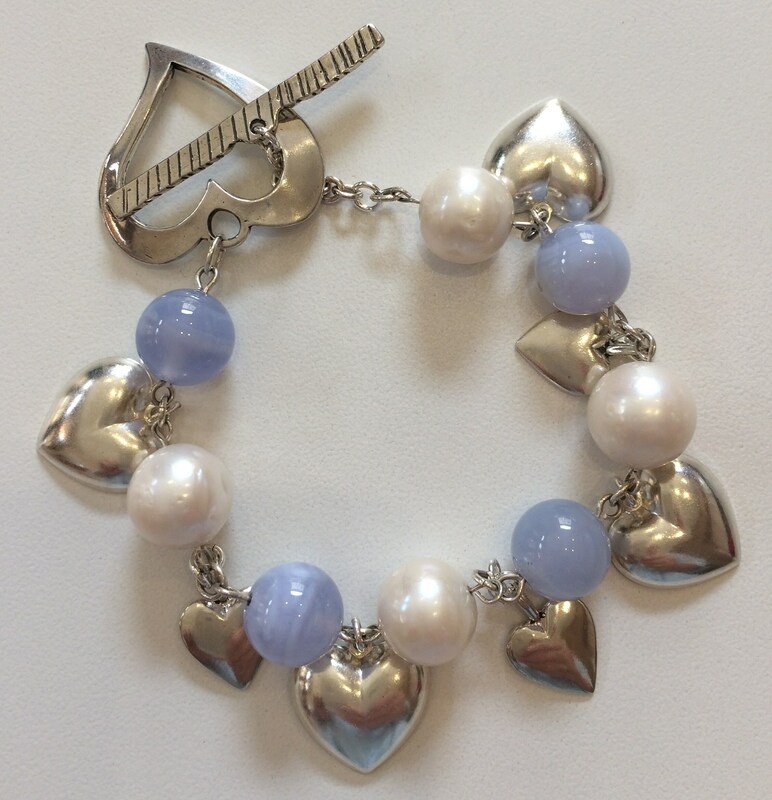 The toggle clasp is a beautiful sterling silver heart. It is 7.25" long.